Craighead Howfs offers award winning self catering accommodation in Braco. 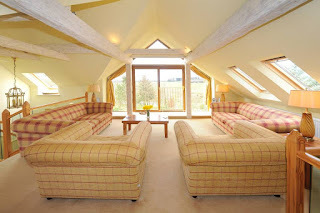 Our tastefully converted holiday home near Dunblane offers luxury throughout. 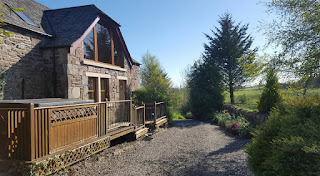 We are the perfect place for a tranquil holiday in a beautiful part of Perthshire. Our stunning holiday home is surrounded by glorious wildlife, gardens and woodland. You will come across animals such as our miniature donkeys and our Soay and Ryeland sheep. We also have two Pygmy goats and two lovely Highland cows. This luxurious cottage boasts a sauna room with invigorating shower and infra red sauna. We also have an outdoor and secluded hot tub. The cottage includes a private garden, patio and firepit. An ideal place for a spot of al fresco dining. We also have adults only glamping self catering options available – please enquire for details.